The body wants what the body wants, there is no logic to it. So when I was craving chicken, I found myself in Dickson shops looking for something chicken-y. 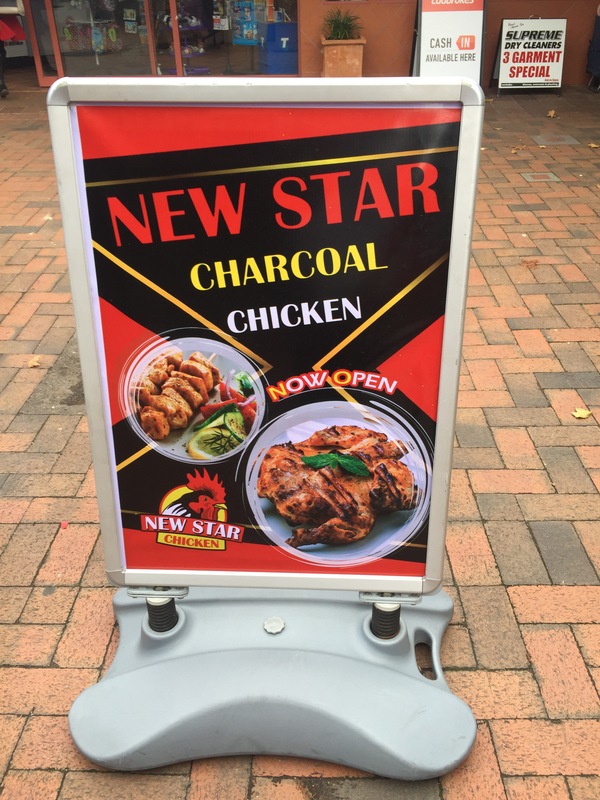 I came across New Star Charcoal Chicken which opened up about a month ago. 1/2 chicken, chips, garlic, soft drink can ($12.90). The chips were freshly fried, topped with chicken salt (by request) and were very addictive. The garlic was so good I wanted to put it on everything. Unfortunately, the chicken wasn’t freshly cooked (it had been sitting under heat lamps), the breast was dry and the limbs were a bit overcooked. It is a shame because the place smelt really good. Maybe I’ll have to go back during a peak period and get a fresh chicken. Have you been to this place? My friend jokingly asked if I’m ever in Canberra. It is true that I have been travelling here and there for my birthday celebrations; everywhere from Bowral, Sydney and more recently Melbourne and Cairns. Besides heading back to Sydney occasionally, I do plan to be around for all the winter events that Canberra has to offer during my favourite season. The fresh brisk air begs for wood fires, eating more rich hearty foods and trying to infuse everything and anything with local truffles. One of my favourite restaurants in Canberra, Pialligo Estate is getting amongst it and I was lucky enough to get a sneak peek into their winter event series 2016 – The Butcher, the Baker and the Merrymaker. 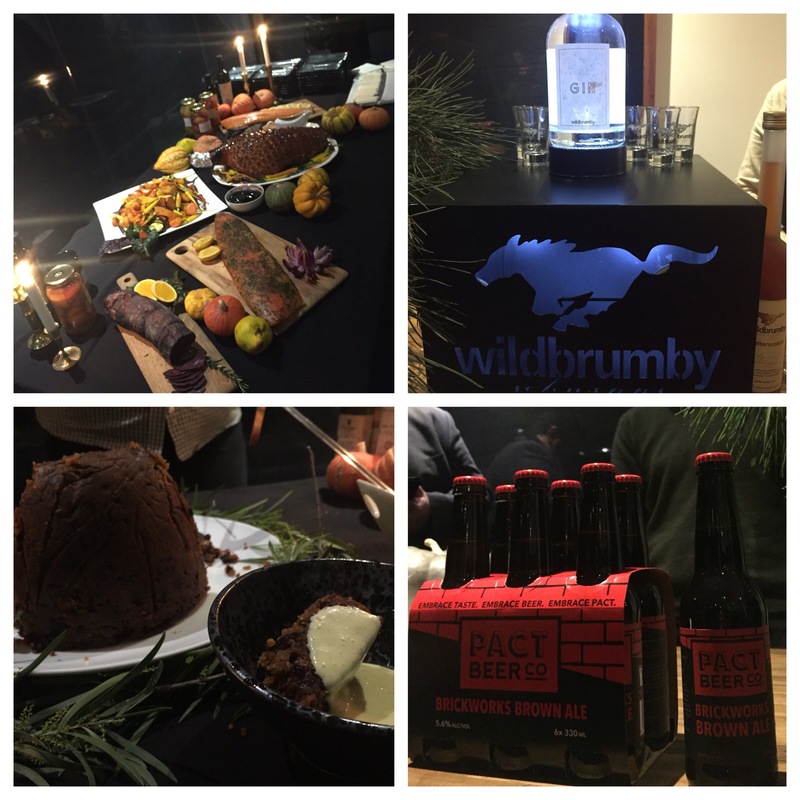 During our sneak peek we got to experience schnapps and gin from Wildbrumby, Pact beer, a bit of Christmas cheer (man that ham was exquisite) and a beautiful Christmas pudding topped with fabulous custard. Not only did it make me excited for the events happening in Canberra, it also made it very hard to choose what event to go to. To find out more information, check out their website. After a delicious and fast (we ordered online, but ate really quickly) dinner at Brodburger, we wandered down the busy Kingston foreshore to go have dessert from the newly opened Mövenpick. It was pretty busy on the Saturday night but there were plenty of seats as everyone was getting ice cream scoops to go (single scoop of ice cream is $5.50, double $7.50, triple $9.50). Hot drink tasting plate your choice of piccolo hot drink served with three tasting scoops of Mövenpick ice cream ($12.95). There were recommendations with either a chocolate, coffee or nut ice cream flavours but TimmyC had his trio of ice creams picked out already. He chose: white chocolate (his favourite) with shard of white chocolate through the ice cream, panna cotta and creme brulee. A nice combination if you wanted a small hot beverage with your ice cream. Chocolate waffles freshly baked crunchy chocolate waffles served with Mövenpick Swiss chocolate and Stracciatella ice creams, drizzled with decadent chocolate sauce and sprinkled with white chocolate shavings (no ice cream choice $16.95). They were made fresh and in-house, double points! Not the greatest waffles but still decent. Shortbread ice cream stack ($9.95). My friend who was able to choose his flavours said that the ice cream was nice but the shortbread made it hard to eat and it wasn’t worth getting over scoops of ice cream by itself. Macaron selection subtly flavoured, crisp, light macaroon [sic] shells sandwiched with complimenting flavours of Mövenpick ice-cream, great a unique and delectable taste sensation like no other (no ice cream choice $12.95). To tell you the truth, I really got this for an Instagram photo and to see if their macaron shells were any good. Since there were no choices of ice cream I asked what the flavours were going to be; they were: chocolate, salted caramel and pistachio. I really liked the texture of the shells, they melded with the ice cream really well and they weren’t stale. I really enjoyed the chocolate and salted caramel as they were exactly how you would imagine they would taste but I took two nibbles of the pistachio macaraon ice cream sandwich and left the rest on my plate. It tasted like I ate a mouthful of bad mazipan. Did not like! It was really more novelty than anything else, next time I’ll just stick to scoops of ice cream. It is nice to have such a big Mövenpick outlet in Canberra. 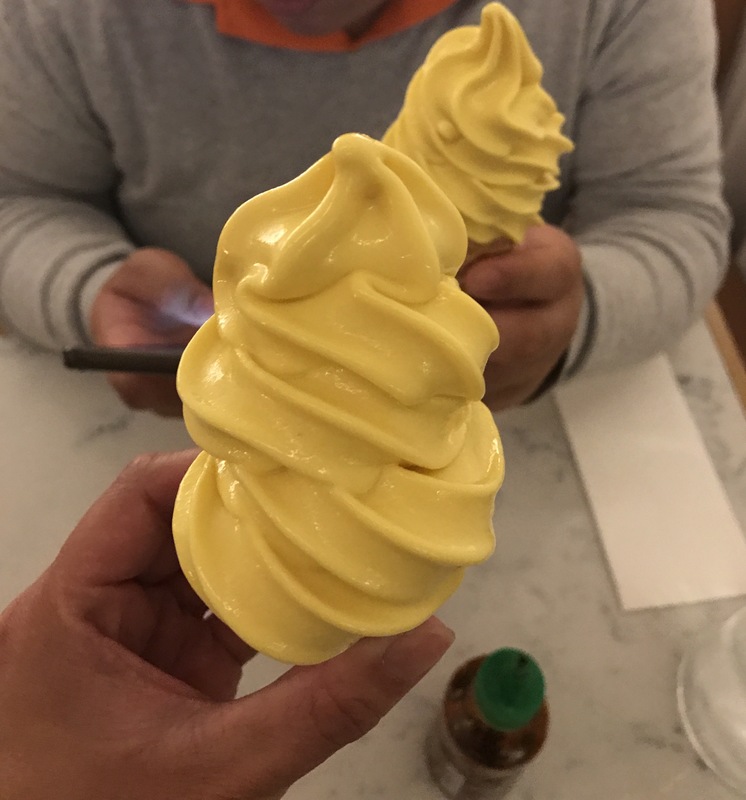 I have been dragged around to plenty around Australia because of TimmyC’s love of their white chocolate ice cream and there aren’t many around. It’s good to have a choice of plated desserts with so many varieties, but I’m just a simple girl and might just stick with regular good ol’ ice cream in a cup. It has been a while since I’ve last dined at Courgette but a spontaneous lunch was booked with wonderful company, it was an offer too good to refuse. I’ve always loved their cutlery. Three course lunch ($66.00 per person). Paris mash ($7.00). Not as buttery and rich as I remember it used to be but still ridiculously smooth and paired perfectly with the beef. Dropped cinnamon apple pie, vanilla bean custard, burnt apple ice cream, toasted oat crumb. The presentation reminds me of Massimo’s dropped pie from Osteria Francescana. It is a classic dessert given a beautiful modern face lift and I loved every mouthful. The perfect winter warmer dessert. Cheese and bickies Guilloteau Buche d’Affinois triple cream Brie, Reypenaer VSOP aged Gouda, Wyngaard Chevre Affine. When my friend said to try some of cheese board, I didn’t envisage myself eating almost half of it, but I found all three cheese delicious and very moreish. This is one of the best meals that I’ve had in Canberra in a long time, one wonders why it took me so long to come back. Coffee Lab’s Free Coffee Day! That’s right caffeine addicts, rejoice as Coffee Lab are giving away free coffee from 8am- 8pm TODAY! Artistry will meet Science – at coffee lab located in the Canberra Centre, next to The Australian Tax Office on Narellan Street. Get ready for the most exciting coffee event of the year. In the exploration for the perfect coffee, Canberra’s premier coffee lover’s destination will be serving out Canberra’s finest coffee for FREE all day until 8pm. Along with live music performances and free food tasting throughout the day. Don’t miss out on your chance for Canberra’s best coffee for FREE! Recently road signs have warned of major delays in the Majura area for at least a week starting this Monday 16th November. Why? If you somehow have not heard, the IKEA Canberra store is opening and everyone wants to be there. According to the Facebook event, over 13,000 people want to be there during their opening celebrations starting from around 6:30am and the store will open at 9:30am. One of my friends who has never been to an IKEA store before asked me ‘what is the big deal about IKEA?’; this made me ponder and I didn’t know where to start. I wanted to tell her that when it opens in Canberra on Monday it will be the most sustainable store in Australia using LED lighting, they have just under 2000 solar panels, they source sustainable salmon as well as becoming the first major retailer to source 100% of its cotton from more sustainable sources, just to name a few things. I also wanted to mention their charity initiatives supporting educational project run by Save the Children and UNICEF. Instead, I explained that most people want to improve their home and their personal spaces and IKEA helps people to do that regardless of socioeconomic backgrounds. Despite people saying that everyone’s houses will look the same, there is so much choice and room for personalising, I don’t think that would be the case. 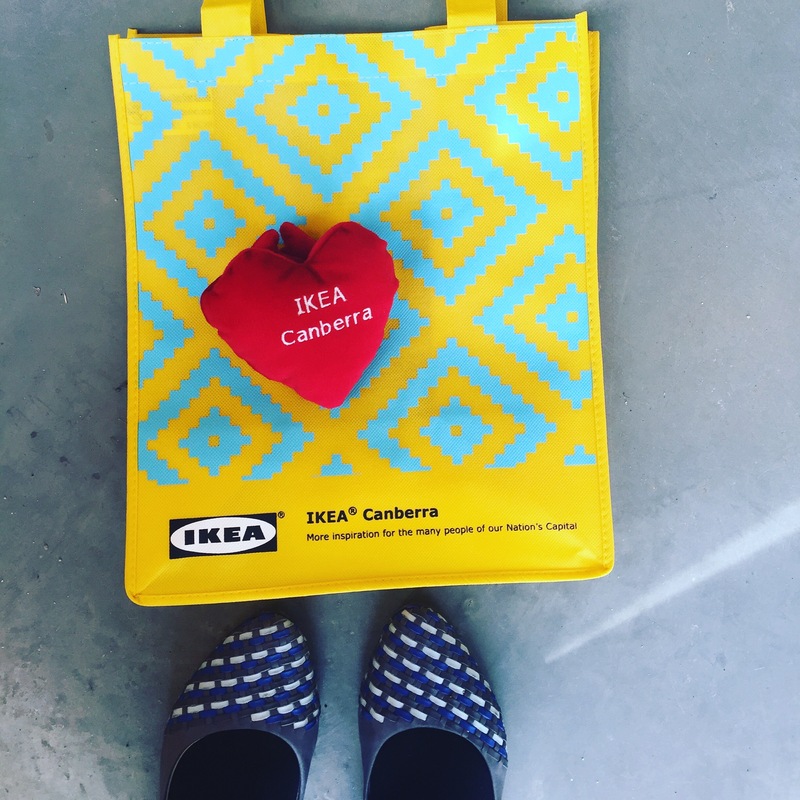 I was lucky enough to have a sneak peek of Canberra’s IKEA store on Friday and I wanted to tell you all what you’re in store for starting Monday. We like to make visiting IKEA both fun for kids and easier for grown-ups. Småland is our free supervised play area, located next to our store greeter. So kids, come on in… We look forward to seeing you soon! Småland is licensed under the Department of Education, so all children must be enrolled before coming in to play. This paperwork is only needed once a year. There is a limit on the number of children allowed in Småland to ensure their safety at all times. As a result, you may experience longer waiting times during busier periods. IKEA launched ‘LATTJO’ their play collection that inspires everyone to play more together – everyday. I am tempted to everyone a snail hat this Christmas. 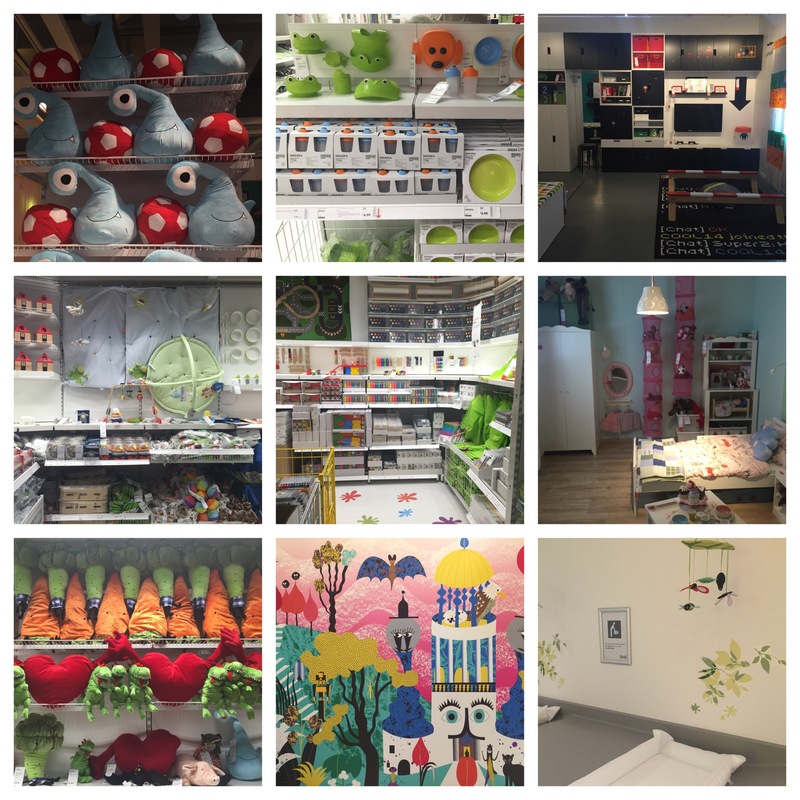 With kids and their parents set as a first priority, IKEA have awesome parent rooms, the restaurant area has microwaves for warming milk, kids cutlery and even a small children’s play area so the parents get some peace while they’re eating Swedish meatballs. There is so much cutesy things to buy for kids and the young at heart. I love IKEA’s store concept where they create fully furnished areas, making it much easier to visualise the end product or lend creative inspiration especially storage in small spaces. If you’re like me and get your cardio work out from shopping, you’ll get over 1km walk if you don’t take short cuts. Do you need some room inspiration? It took the IKEA staff 5 weeks to set up the whole store! Come and see their amazing space. They have over 700 car parks available on opening day, with staff parking off site and taking a shuttle bus to the store; being a sustainably minded store they encourage everyone to carpool or take public transportation (extra buses will run from platform #9 Civic interchange). Are you excited for IKEA Canberra? When my friends wanted to know what I felt like eating for dinner Friday night, I knew exactly where I wanted to take them, to Chez Kimchi for some Korean fried chicken. I didn’t anticipate a line at the door and a 20 minute waiting period but we were there and I had already promised my stomach fried chicken, so I left my name on the wait list and browsed through the menu. Continually throughout the night people there were people waiting for a table, so you knew it was either A) really good and popular or B) new to Canberra, I was hoping a little from column A and a little from column B. We were given condiments and bone bucket. We were ready to start! Gogi-gunmandu deep-fried Korean dumplings filled with pork mince and vegetables (4 pieces $6.80). These dumplings were crispy and cooked perfectly, but I wouldn’t have been able to tell you what was inside the dumpling. I didn’t think these added much to our experience and I wouldn’t bother ordering any of the dumplings again. Saewu Jjinmandu steamed Korean dumplings filled with prawns and vegetables ($6.80). You could tell that these had prawn inside, but they weren’t particularly good; skip the dumplings and head straight for the fried chicken! Ginger iced tea and Lemon iced tea (around $4.50?). It is not your typical iced tea, think more preserved lemon and ginger. I think I preferred the ginger one more because it was more refreshing. Bulgogi Bokkeum beef stir-fried with vegetables in a Kimchi’s specials sauce served on a sizzling plate ($18.50) served with steamed rice. This is one of my favourite Korean dishes and I wasn’t going to pass it up. I don’t know if it was traditional or particularly good; I’ve never had a bulgogi that I haven’t liked. Japchae stir fried glass noodles (sweet potato noodles) with vegetables in a soy sauce ($15.80). I’ve always liked Korean sweet potato noodles (easy to cook at home too) and these were really nice but I wasn’t a huge fan of the cloud ear fungus. Now to why we really came here, fried chicken! Spicy chilli chicken smoked chilli spicy sauce (half chicken $18.00). When we ordered this, the waitress stressed that it was spicy, yes that is why we were ordering it, then she stressed that it was really spicy and that made us a little worried but my friend was adamant that she wanted this fried chicken, so we ordered it anyway against our better judgement. I am not a good judge of spiciness because my tolerance for chilli is on the lower end, but man! For me it really spicy (and subtly smoky) but I made it through and even ate two pieces out of spite (yes waitress, we ate the whole thing!). So maybe for other people who LOVE spicy food, it might not be too bad. Soy sauce chicken perfect combination of garlic and soy sauce good with beer (half chicken $18.00). This by comparison seemed really sticky and sweet. Easy to eat and very messy (not a first date food) but I don’t know if they gave us the right one because I didn’t taste any garlic at all. I think next time I’d choose another flavour of chicken, one with a fried coating rather than a sticky marinade and one that won’t make me tear up and blow my nose. Despite being very busy and borderline overwhelming for the staff, they were still very friendly and attentive. 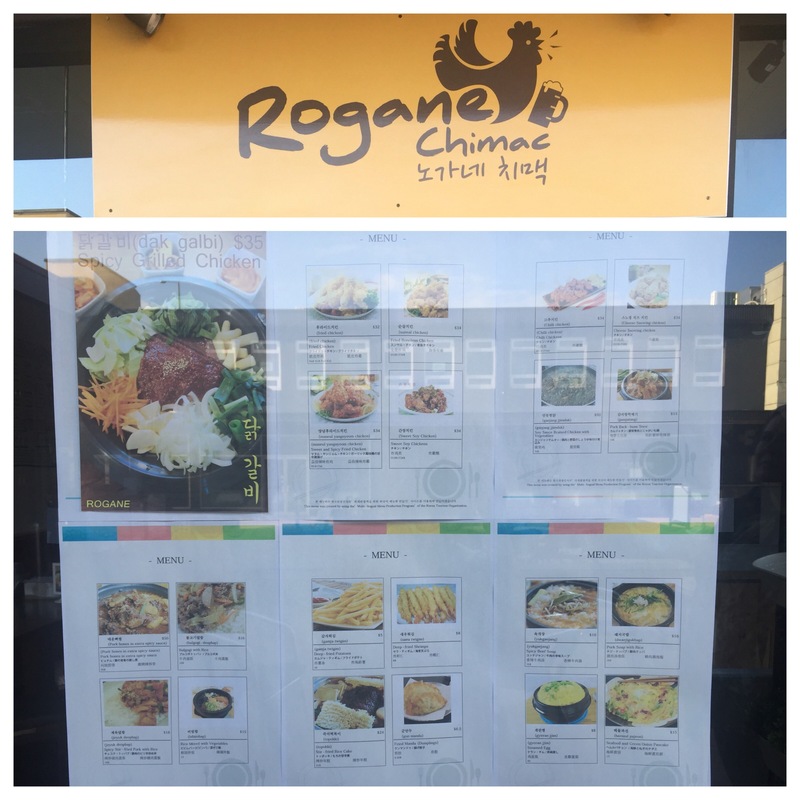 Chez Kimchi have 14 flavours of fried chicken and I am super keen to come back and try more! I imagine when they aren’t crazy busy that it would be a place to grab fast dinner before a movie. 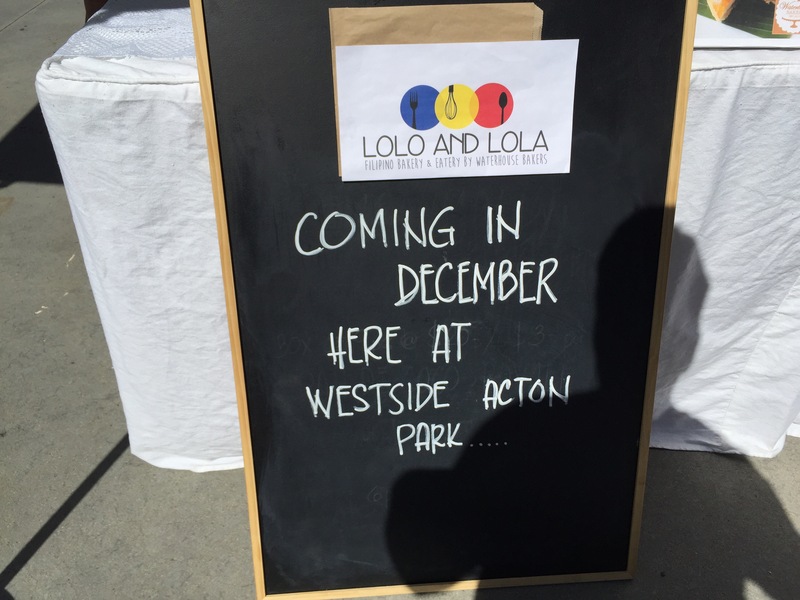 Yes, Canberra’s favourite Filopino bakery, Waterhouse Bakers will have a more permanent home at the Westside Acton Park! They are joining the shipping container village in December not only bringing their delicious bakery goods but also an eatery! I really hope they have adobo for those who don’t have a Filopino family to make it for them. 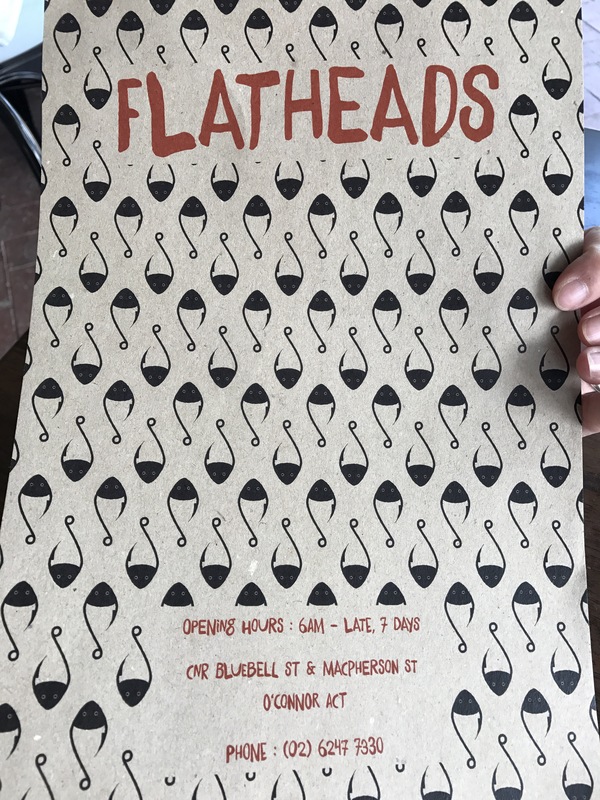 I will definitely be keen to see their menu! Thanks TimmyC for the photo and my delicious sans rival!